Wait a Second! We’re Optimists??? This one took me by surprise. Apparently, humans have an optimism bias. This seems contrary to what I’d think goes on. There’s so much negativity and griping that goes on these days that I’d have thought there’s more of a pessimism bias. However, the tag line in Tali Sharot’s TED talk sucked me in. And she’s right. She’s a scientist and backs up what she says, but it seems somewhat obvious once you hear the theory. This isn’t the case of my last TED talk that rubbed me completely the other way and had my wife looking up the studies. Dr. Sharot notes that we tend to view ourselves and our possible outcomes more favorably than those around us. Most non-celebrities get married thinking that we’ll be with our new spouse until one of us passes away. We do so knowing that around half of all marriages end in divorce. Similarly, all our kids will grow up gifted and brilliant, we won’t contract major diseases, we all interact well with others, we’re terrific and attentive drivers, and so on. If everyone is a great driver then why is there road rage? Everybody can’t be in the top 10% of everything. What about the other 90% that it takes to actually get an entire population? 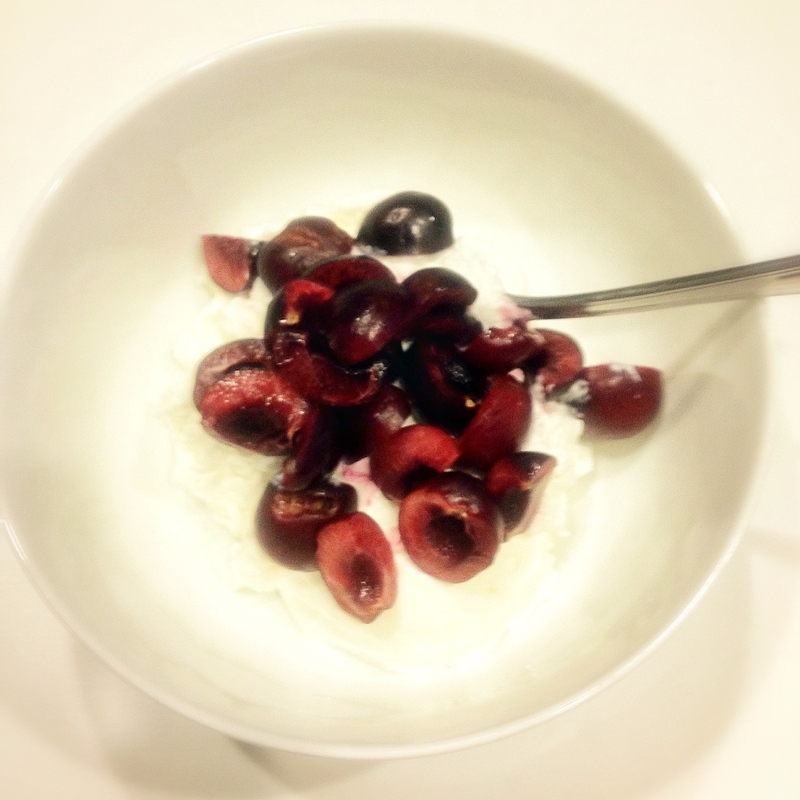 Is Life a Bowl of Cherries (and Yogurt)? Furthermore, our ability to imagine ourselves doing better than the rest of the world is critically important. That puts us in the future enjoying ourselves and being successful. It helps us try harder and drives us to success. This optimism helps us motivate ourselves. Apparently, when I was doing that road bike ride in the mountains a couple of weeks ago, I was visualizing myself one corner further up the mountain at a time. A lot of the visualization optimistically flies in the face of reality too. Not in my case of getting up the mountain climb, but in decisions like investing or gambling in Vegas. Apparently the optimism bias kicks in for most of us even when the numbers tell us otherwise. The important part is that our ability to mentally time travel into the future helps us get there and while it’s not a self-fulfilling prophesy, it does help keep us on the road ahead. As I said, the title of the talk took me somewhat aback. The reality seems like it makes sense. Motivation is needed in our daily lives. A little ignorance can be bliss. Bobby McFerrin’s Don’t Worry, Be Happy really works to a certain extent. Conversely, there are a lot of cases where we need to think about our situations more objectively and realize what’s going on. I’ve been in the sales field since the mid 90’s and I can’t tell you how many times I have seen an un-winnable deal chased because we just had to have it. All the while, it was like watching a crewman from the Enterprise wandering a strange world in a red uniform. You know how that ends. So there we have it. The Earth is doomed. The economy is going further to the dogs. Gas prices keep going up. Our houses are worthless. Cats and dogs are living together. We’re entering election time in the US and we’ll constantly be reminded of all this on a daily basis. I think we need to have a little optimism mixed in here. I’ve personally been working on my attitude (see last weekend’s blog) and realize that there are some things I can change and some I can’t. I’m buying into the optimism bias.